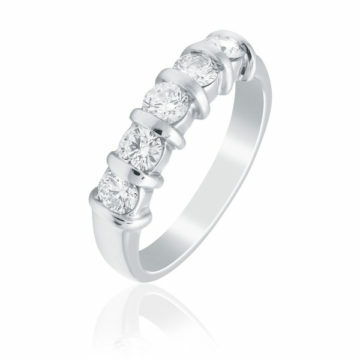 This ring has been sold however we can create another one for you identically, or with your choice of centre gem. The price may vary depending on your choice. This classic Trilogy ring features a sparkling centre diamond weighing .71cts G/SI2, accompanied by a single diamond either side 2=.81cts.